We, at RUDRAKSH PHARMA & SURGICO PVT.LTD. 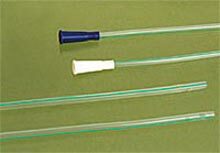 have developed premium quality nasal oxygen catheter which is a life saving medical equipment used in hospitals, health centers and clinics. The nasal oxygen catheter offered by us has been termed as the best available in market because of its supreme characteristics like.